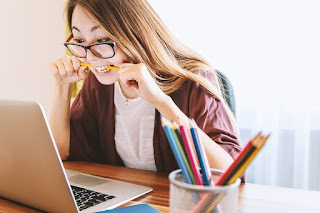 Life in the office isn’t always an enjoyable one as there are a lot of factors that can cause stress to its employees. From an irate boss, to annoying co-workers, to approaching deadlines, you will never know when the effects of stress will hit you. If you’re one of those whose life in the office is going nowhere but down and you would like to spare your health from being compromised, it is high time that you look for ways to alleviate the stress that you are feeling as soon as possible. To get you started in combating stress, here are five steps that you can try out. A cluttered desk or office space can actually trigger stress hormones according to researchers from UCLA. You don’t have to clean the entire office on your own but you can start with something simple such as cleaning your own desk or cubicle. Most of us multitask in the office so that we can do many jobs all at the same time. Although your boss might be impressed with your dedication to the work, you are actually setting yourself up to experiencing a lot of stress in the long run. Plus there is also the danger of not being able to deliver the best results for the task at hand. If you want to prevent stress from running your life, the best thing for you to do is to start focusing on one work at a time. Interruptions are prevalent in an office setting. Phone ringing, people talking, foot traffic in your area and others can certainly catch your attention. This can remove your focus on the job at hand which can be frustrating especially when you are doing something important. But since you can’t remove the phone or ask your colleagues to stop talking, the best way to get around this is to make a memo to yourself what’s the last thing you’ve been doing. This saves you time when going back to your work especially when you’ll be out of your cubicle for a few hours. Go for a brief walk. It’s not really surprising that office life can be unbearable at times but instead of succumbing to its effects, remove yourself from your work station even for a few minutes and go for a walk downstairs or around your office. This will help clear your mind and help reduce your stress levels too. It’s true that meditation can lower one’s stress levels but since you can’t spend 30 minutes of your office time to meditate, practicing mindfulness in your work can have the same positive effects to your health. In 10 seconds, focus your attention on your body, your breathing, and your mind. Determine how you’re feeling and whether there are pains and aches that are hindering you from completing your task. By addressing these issues as soon as you find them, you’ll be able to keep stress at bay.